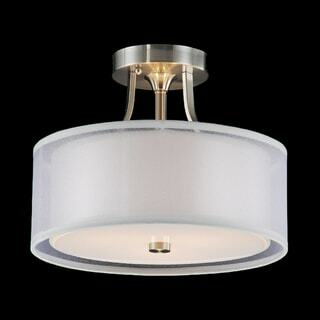 Change up the look of your room with this elegant and modern flush mount chandelier. With a sheer mesh fabric shade and satin nickel base, this gorgeous light fixture creates a soft, lovely ambiance wherever you install it. This fixture does need to be hard wired. Assembly is required. Professional installation is recommended.